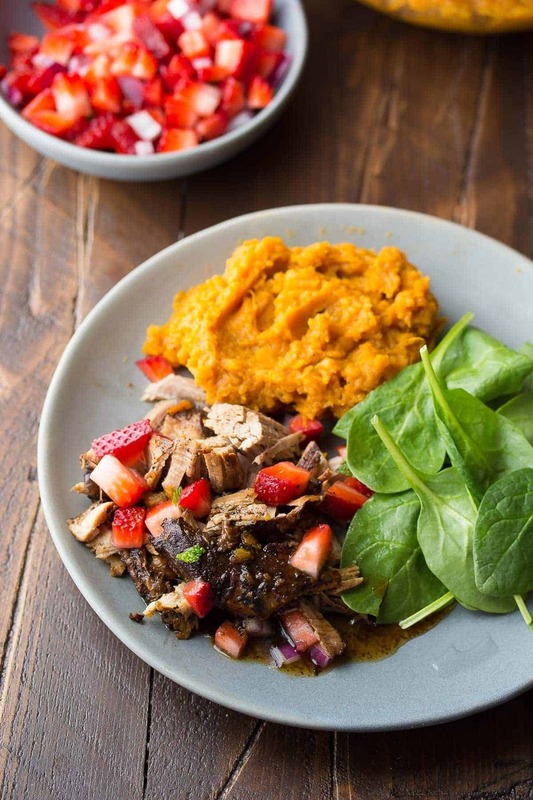 This slow cooker pork tenderloin is cooked in a tangy balsamic sauce with sweet potatoes, then topped with a fresh strawberry salsa! An easy week night dinner recipe. Whoa. Did I just copy and past the top photo from Thursday’s Sweet Chili Salmon & Broccoli Quinoa Bowls or what? Today I have a recipe for us that is just as easy as Thursday’s 30 minute recipe. It might actually be easier, because all you need to do is throw some things in the slow cooker and let it work its magic for the next 6-8 hours! 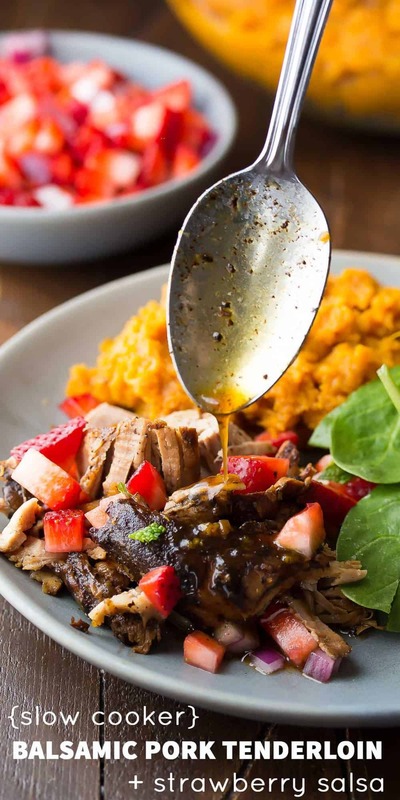 This slow cooker balsamic pork tenderloin recipe seriously makes dinner a breeze! Can I share a little secret with you? I have been an anti-slow cooker pork tenderloin kind of gal for awhile now. Why? Because pork tenderloin is a nice cut of meat that doesn’t need the ‘low and slow; thing. Pork shoulder neeeeds the low and slow, but pork tenderloin is great in the oven or even grilled. Then. I opened my freezer, only to see two pork tenderloins sitting there, starting to get a little freezer burn happening. Since pork tenderloin always seems to involve a few extra steps, we haven’t actually been eating it. And that makes me sad. So instead of being a pork tenderloin snob, I decided to break out the slow cooker. This slow cooker pork tenderloin is cooked up in some stock, balsamic vinegar, brown sugar and garlic. I threw some sweet potatoes in there to cook at the same time. After cooking, I pulled out the sweet potatoes and mashed them up, then cut up a quick strawberry salsa for on top of the pork tenderloin. 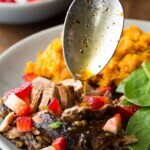 Strawbs + balsamic vinegar + pork tenderloin are just meant to be together! This recipe has no marinating, no heating up the oven, no cooking it for 40+ minutes. Just pop it in the slow cooker and pull it out 6-8 hours later. Now that is my kind of recipe! Place the onion slices on the bottom of the slow cooker. Arrange the pork tenderloin and sweet potato chunks over top. In a small bowl, whisk together the chicken stock, balsamic vinegar, brown sugar and garlic. Pour over the pork and sweet potatoes. Cook on the lowest setting for 6-8 hours. 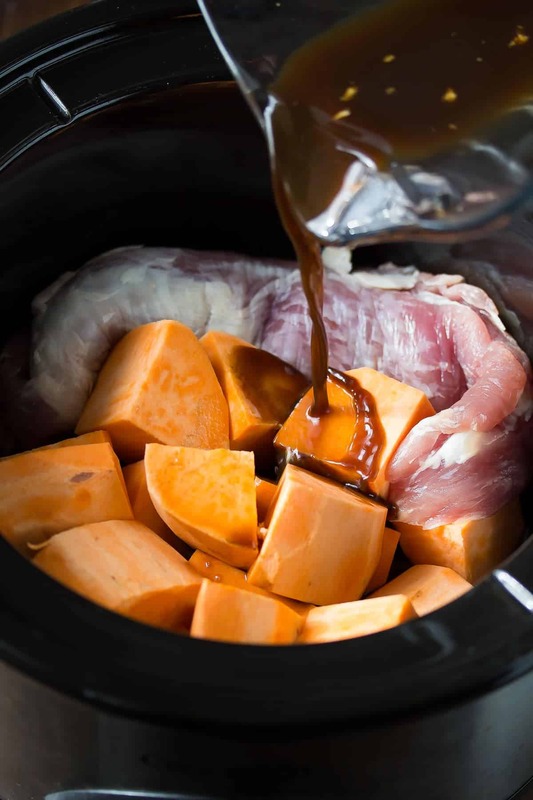 Remove the sweet potato from the slow cooker using tongs, and place in a large bowl. Mash with a potato masher and taste. If you find the flavor too intense, try adding ¼ cup of greek yogurt to mellow it out. 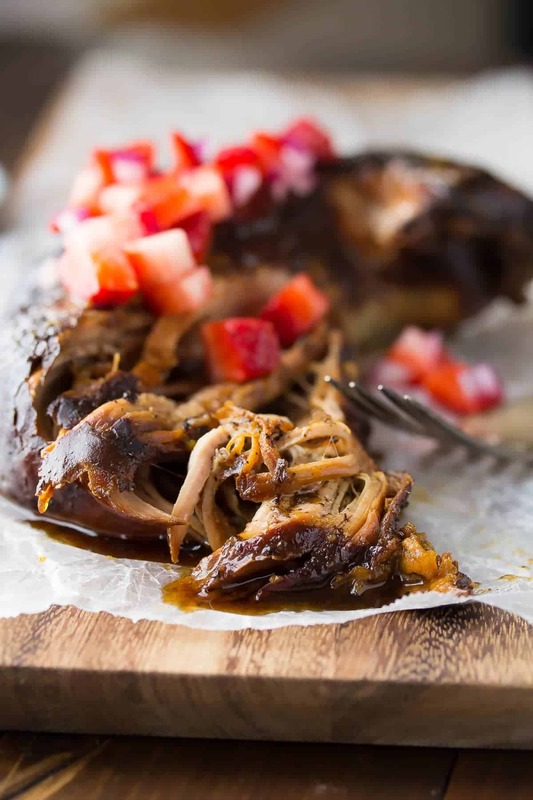 Assemble the strawberry salsa and serve over the pork, with extra sauce from the crock pot. Use a large pork tenderloin (400g/14 oz) to get 4 servings. Smaller pork tenderloins may only serve 3 people. I have never thought of adding pork tenderloin to the slow cooker – but I might have to now! Love the strawberry salsa and that drizzly spoon – gimme! This is just calling my name, Denise! I love the flavors you’ve got going on here. I’m pinning this and putting it on my meal plan for next week. This looks incredible Denise! I need to grab the ingredients for this ASAP and make a batch – it looks so tender and flavorful. This looks totally unreal. That drizzly spoon is getting to me too! LOVE Balsamic anything and the strawberry salsa is so fun! My husband doesn’t really care for it in the slow cooker either, but if I make it like that he still scarfs it down haha! I love the burst of flavor the strawberry salsa gives this dish! It totally doesn’t have the same texture as baked pork tenderloin, but I liked it. Plus sometimes you just don’t want to cook up a whole pork shoulder and eat leftovers for 5 days :S Thanks, Annie! 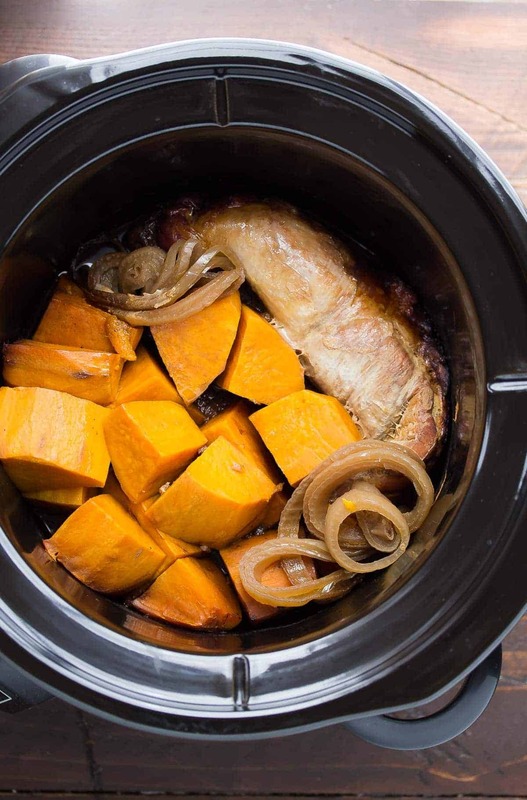 I’ve never cooked pork tenderloin in the slow cooker, so I’m definitely trying this out! I love the strawberry balsamic thing, too — it’s just the best! It’s just TOO EASY, you know? It does end up fall-apart tender (like most slow cooker things! ), but I liked it 🙂 Thanks, Marcie! Thanks so much, Sarah! 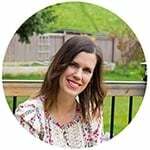 I am having some fun coming up with some more ‘springy’ and ‘summery’ slow cooker recipes.